If you are the sort that needs yours post-post apocalyptic science fantasy adventure written on the corpses of larch and aspen, you are in luck! Elger and the Moon is available for purchase in print format right now! 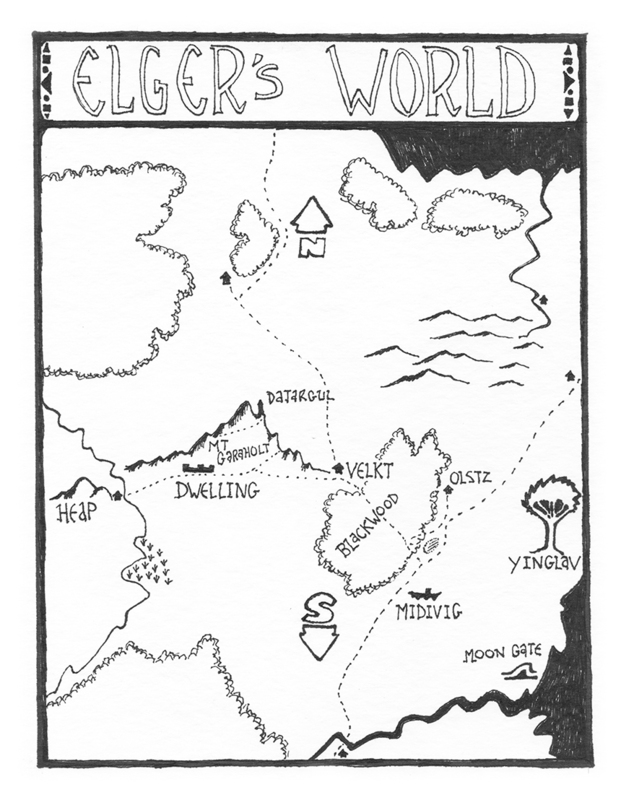 And don’t forget, the print book comes with the exclusive “Elger’s World” map by my friend Dylan Vitale. But wait, you say! Isn’t the ebook version still on pre-order? It is! There are a few reasons for that, but chief among them is that I don’t have any idea what I am doing and I obviously never set a print pre-order. What it means for all practical purposes is that I will be moving up the release date of the ebook. I have not decided when, but it will be very soon. Stay tuned. Thanks again for all your support and I apologize for any inconvenience, stress or hives caused by my little release date flub. PS The best thing you can do (besides buy it!) is review it. the more reviews it has, the higher it climbs on its genre lists. 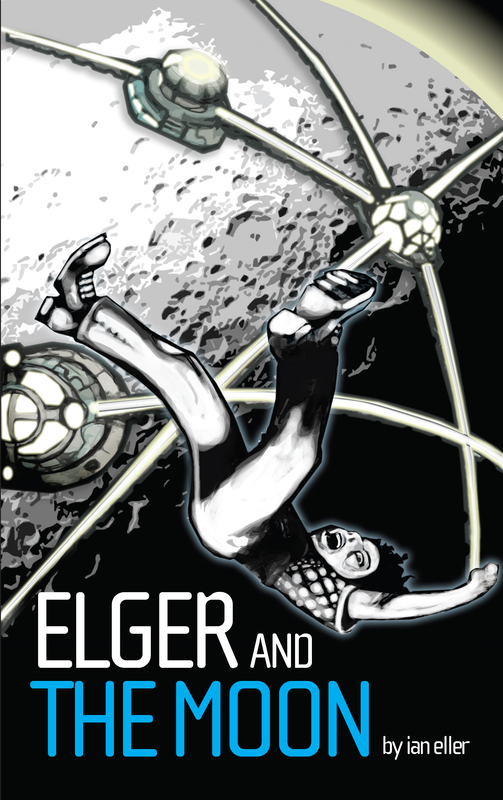 After a very long time, Elger and the Moon is finally available for pre-order at Amazon! Orphaned, deformed and indentured to pry valuable artifice from the detritus of a world long dead, Elger of Heap finds solace in the Moon. Covered in jewel like domes housing the ancient wizards who once presided over the Earth, the Moon represents the world that was lost to the Calamity. It was a world of wonders and comfort and magic. Elger’s dreams of going there are a salve for his hardships, but just dreams nonetheless. Then one morning what seems to be a chance assignment propels Elger on the first steps along the road to the moon. He will make friends and find enemies, see wonders and endure terrors and with each step that road will grow ever more perilous. For Elger, though, escape from the broken world to the Moon is all that matters. Elger and the Moon is a post-post apocalyptic science fantasy adventure. Join Elger as he discovers monsters and magic born of technological wizardry and learns just how far he is willing to go to reach the Moon. I am super proud of the book and hope you take time to enjoy it. Once it drops on May 8, it will be available as a DRM free e-book, print and on Kindle Unlimited. And Elger 2 is in thw works, so we’re in this together for the long haul, you and I!